This couple were having their wedding on a yacht in the Toronto Harbour. Guests would be wandering around the yacht throughout the night enjoying the beautiful views. They wanted a dessert that guests could easily enjoy and not have to wait to be served. 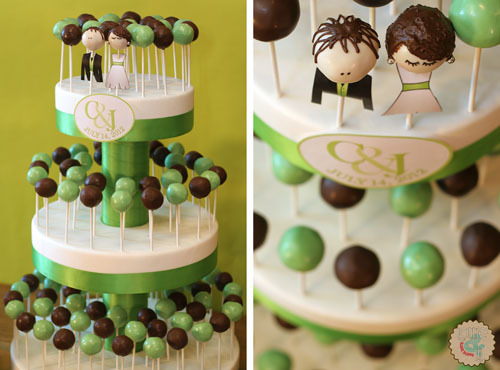 A cake pop wedding cake was the perfect solution! Guests didn’t have to worry about plates or forks, they could nibble on a pop as they were taking in the beauty of the city and the newlyweds. 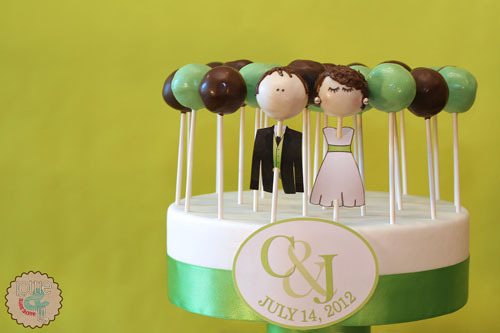 This entry was posted on Monday, November 19th, 2012 at 8:50 am	and is filed under Wedding Pops.